Salman Khan is popular with all age groups. The actor has made a mark for himself in Bollywood. He is one actor who doesn’t bother about Box Office reports, but considers his fans as his biggest assets. Salman has always been appreciated for his simplicity. He is one of the few actors, who made it to People magazine’s list for being one of the most handsome men ever in the world. He thrilled his fans with his undying charm and bindaas attitude. 1.Salman Khan was offered Baazigar before Shahrukh Khan. 2. 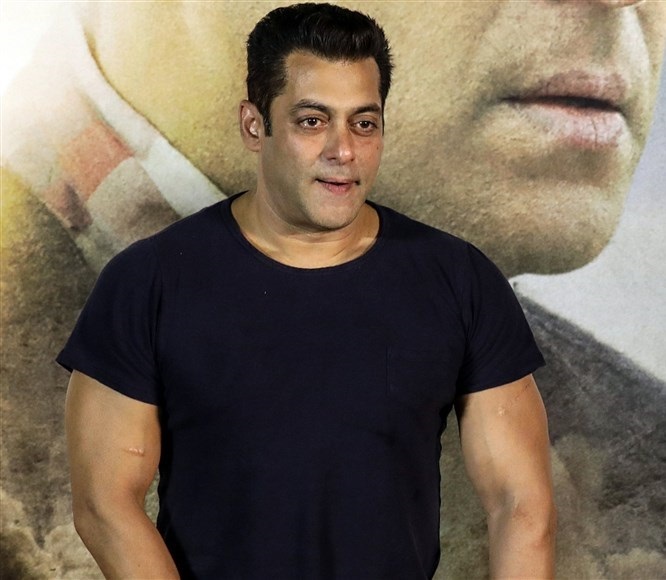 Salman suffers from trigeminal neuralgia, a facial nerve disorder, also known as the ”suicide disease”. 3.Two fatwas have been issued against him – one relates to the wax statue of him in Madame Tussaud’s, the second is in connection to his presence at Ganesh Chaturthi celebrations. 4.Salman Khan has a love for Soaps. His bathroom at home is stacked with soap. He loves natural fruit and vegetable extracts when it comes to soap. 5.Salman doesn’t have an email id on his name, he prefers talking in person or on call. 6.Salman Khan has painted the ”Jai Ho” posters. It is said that Aamir Khan’s home has several paintings by Salman. 7.Salman khan NEVER reads movie reviews. 8.After the movie “Maine Pyaar Kiya” released, Salman Khan was jobless for 6 months. Now the actor has successfully completed 25 years in the Industry. 9.Salman khan doesn’t watch Katrina’s films.